SPECIAL OFFER AT THE MOMENT......! 12.99 € PER 3L BOX INSTEAD OF 13.99 € ! 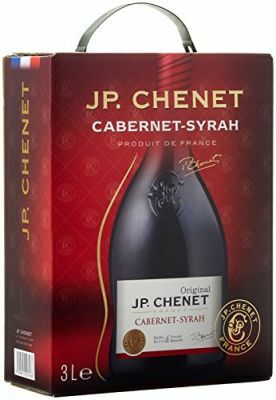 It has an intense ruby red colour, with a bouquet of red fruit (blackcurrant and cherries) and spicy notes.This Cabernet Syrah from JP Chenet comes from carefully chosen vineyards in the Languedoc region of Southern France, near the Mediterranean. Selected Cabernet Sauvignon and Syrah grapes have been vinified and matured to bring you a soft, supple easy to drink red wine. Ideal with a variety of dishes, red meats, salads and a large number of cheeses.